Computer comfort, an ergonomic work station and a healthy work space environment are all key factors in how to avoid RSI type injuries and in making our working lives easier and less painful. 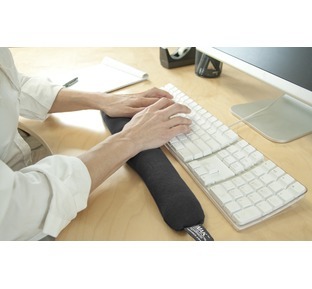 Too many of us spend long, stressful hours over our computers and this leads to frequent and repetitive use of our hands and wrists which in turn can lead to neck, shoulder and arm pain. 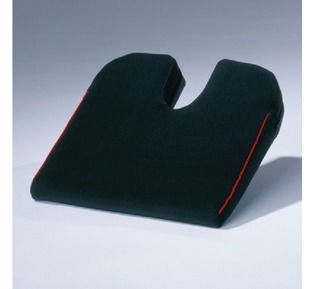 The prevention of injury through the use of aids such as mouse cushions, wrist cushions and smart gloves can help prevent or ease RSI type injuries. 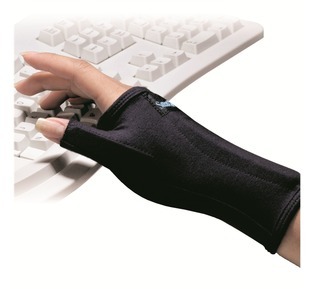 Here at The Bad Back Company we are dedicated to providing great quality products to help prevent, reduce the risk of and treat conditions such as repetitive strain injuries (RSI), carpal tunnel syndrome and upper limb disorders caused by the stress of frequently repeated actions in our offices. Our Pain Guru has over 20 years' experience as a practicing Osteopath and is always on hand to answer your questions regarding your aches, pains and sprains, contact our Pain Guru online today with your question or check out our FREE pain guide and Pain Guru blog, both have lots of information on how to treat all sorts of pain and also on the management and prevention of injuries.